The upcoming ARK update 261 will include fixes and improvements to the game. The new update will rebalance all boss HP and damage to scale from 1x (Gamma) to 3x (Alpha) in singleplayer. According to the developers, this does not include The Center double boss arena, which has 35% less HP and damage than it’s individual Island counterparts. In addition, the update will allow Ankylo to attack with its tail while in a floating state. The update will also fix for boss tribute requirements, removing alpha items and reducing the cost of apex items. Check out full patch note below. Allowed Ankylo to attack with its tail while in a floating state. Fix for boss tribute requirements, removing alpha items and reducing the cost of apex items. 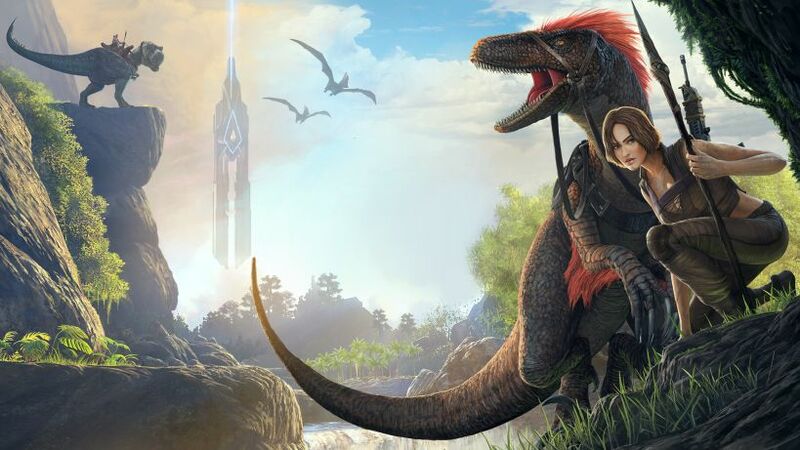 ARK update 261 will bring a fix for Trike walking sound. ARK Survival Evolved 261 fix for dino attacks not functioning correctly while underwater. Fix for ankylo not being able to use it’s new secondary attack reliably. ARK update 261 fixed animation issue with idle Rex. Fixed issue where deceased tames left death cache’s even with an empty inventory. ARK 261 fixed music in The Center Dragon boss fight. Rebalanced all boss HP and damage to scale from 1x (Gamma) to 3x (Alpha) in singleplayer. This does not include The Center double boss arena, which has 35% less HP and damage than it’s individual Island counterparts. ARK Survival Evolved update 261 fixed engrams sometimes not displaying proper while in folder view. Decreased snow bushes resources to 20% a number of resources (20% harvest-health), and increased snow trees by 200% resources (200% harvest-health). Fixed alpha particle effect on underwater alphas to be visible in the water. Reduced Titanoboa’s terrain scaling abilities, specifically reducing its ability to scale cave walls and end up on the ceiling. Revisited move-around-blockade AI on dinos, meaning they should get stuck against terrain less often than previously. Removed “Distance: ” label from “Following” Floating HUD. Now displays for 30 seconds after changing, and while the extended HUD is open (press-and-hold H key). Made torches equipable on all appropriate land dino saddles. Drag the torch onto the saddle to equip. Fixed Frozen Canteens from ‘spoiling’ into empty containers instead of regular Filled Canteens. Creatures in caves have been altered. Changes include more Arthropleura, Titanoboa and Leeches in the Swamp Cave, removed Scorpions. Removed bats, spiders, penguins, and piranhas in the Ice Cave. Added ‘Polar Bears’, Purlovias, and Sabertooth Salmon to the Ice Cave. Griffins, female Ovis, and female Megaloceros now retain their color properly in singleplayer. Fixed issue where wild Dinos weren’t respawning/reloading properly in singleplayer savegames. ARK update 510 for PS4 and update 758 for Xbox One will release on July 3rd. Previously, the developer’s released update 260 on PCs. The new ARK update 261 will roll out to the player on PCs. HiSrgx Really informative blog.Really looking forward to read more. Awesome.